We've benefited from the wisdom of other Burning Man camps, and thought we'd link to some of the things we've found useful and describe some of the solutions we've developed. Feel free to use these ideas, but evaluate them yourself for safety and effectiveness. This is just what's worked for us. We use almost exclusively 0.5" x 24" rebar, and have settled on covering them with short (8-12") lengths of 0.75" PVC pipe with a standard PVC pipe cap on the end, preferably painted orange or red. We started out with ordinary schedule 40 plumbing pipe, but now prefer Class 200 thinwall pipe (available at some (but not all) Home Depots). 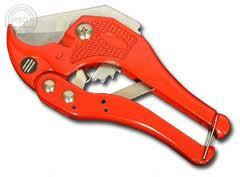 Note: While on the topic of PVC, we strongly recommend using dedicated ratcheting PVC cutters instead of a saw. They're much faster, result in a cleaner cut, and don't produce PVC shavings (which are really serious MOOP). These are available for as little as $5 at hardware or home-improvement stores. To make rope more visible, we slide a piece of PVC pipe over it. This is another good use for Class 200 thinwall. After having piles of rusty, sharp rebar rolling around our trailer, we bought 2.5" square PVC rain gutter downspouts, cut them to 26" (slightly longer than our 24" rebar), and store 12-15 pieces of 0.5" rebar in each one. They stack easily, can be lifted by the ends, and keep the rebar neat. We sometimes want to pull almost straight up on a rebar anchor, which will pull it from the ground. We thus put two or three lengths of rebar at angles (see FlyTies to get the general idea) through a plain welded iron ring (make sure it is rated for the load you will apply), then tie the rope to that ring. The rings are available at some hardware stores -- OSH, in California usually has them; Home Depot usually doesn't. The angle of the rebar relative to the ground is an important factor in resisting being pulled from the ground as well as keeping the tie-down from slipping off. We'll eventually post a few drawings here to illustrate this. We've always used a large pair of Vice Grips and simply turned and pulled. It works, but it's a bit slow. Then someone showed us a neat trick: Take a length of rope and loop it around the rebar using a lark's hitch, then have one person pull on the rope while another person uses Vice Grips to rotate the rebar. Much faster and easier! We've find that Rope Ratchets make tying down shade structures faster and make later adjustments easier. Pretty expensive, though, if you've got a big camp. If you don't know how much power your devices need, you can use a Kill-a-Watt meter to measure them. These are available at Home Depot, or can be found online for as little as $17. (Note that there are two models. The cheaper one works fine for this purpose.) Beware, though, that some devices (such as air conditioners) have high inrush current or occasional peak loads, and generators don't like that. We've found ordinary gas cans to be frustrating and dangerous. The nozzle systems work poorly (when they work at all), ending up getting gas on your hands (unhealthy) and spilling it on the sides of the generator (dangerous and wasteful). We've switched to No-Spill gas cans, and have been very happy with them. Unfortunately, they're quite expensive, so we end up using some regular gas cans from which we refill the No-Spills, which we then use to fill the generator. We had good results with ordinary safety goggles (available in any hardware or home-improvement store for about $2). We just put a few strips of plastic packing tape over the vent holes. This year we'll try splash-resistant goggles and caulk over the (fewer) holes. We'll report back. 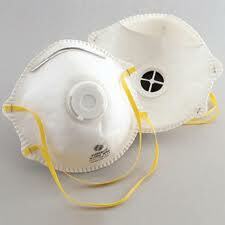 In a serious dust storm being without a good dust mask can be dangerous. 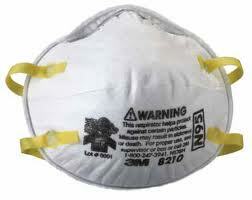 We recommend at least an N95-rated dust mask (available in any hardware or home-improvement store for about $1). For comfort, get one with an exhalation valve (these cost more like $2-$3). It doesn't hurt to have a few spares -- during really dusty years a mask can get quite dirty. We built a simple handwashing station using a garden sprayer (meant for spraying insecticide, but we bought a new one), vinyl tubing, a pistol-style hose nozzle, and some fittings. If it works well, we'll post details here. Next year we plan to use a foaming hand soap dispenser. Our theory is that by making the soap easier to spread on our hands, we can use less water to wash it all off. If it works well, we'll post details here. Plans for a simple 4'x4'x8' booth made of PVC (we'll post this eventually). When we finally get around to building this, we'll post our experiences. We use a few of the Costco shade structures. While they work well, they are heavy (almost 200 pounds each), bulky (our trailer is getting pretty full), and the cost adds up. This year we plan to try a hoop structure (sort of quonset hut made with PVC pipes and tarps), and will report back. An inexpensive, highly-readable 3'x10' banner made of PVC pipes, shade cloth, tyvek, and wire ties. Another project we still need to write up. One of these years we should build a bicycle rack. We've seen various designs made of plywood, but we'd like to find something even lighter and more portable. Perhaps something made of PVC pipe? If we ever do this, we'll post it here. In the meantime, if you've designed such a rack, please let us know.